Republicans don't really know what to do with him because he delivered results for them. Damned if they say anything, Damned if they don't! Sounds familiar? A recent issue of the Economist tried to evaluate the implications for the Republican Party (the institution) in the aftermath of Donald Trump (the incumbent) becoming the President. The following piece attempts to pick from that discussion some threads of relevance for organizational realities. Even great organizations and those with unparalleled legacy also end up growing talent to the top job that is shocking in the immediate term, damaging in the medium term and certainly toxic in the long term. The focus, and I think quite unfairly, has been on the incumbent. The real issue and perhaps more germane one would be to see what in the organization allowed such a phenomenon. Where did all the checks and balance go? How come the institutional culture could not prevent such an eventuality? What happened to the early warning signals, the institutional memory that usually institutions as old as the Republican Party long nurture to prevent such betrayal of the core values? 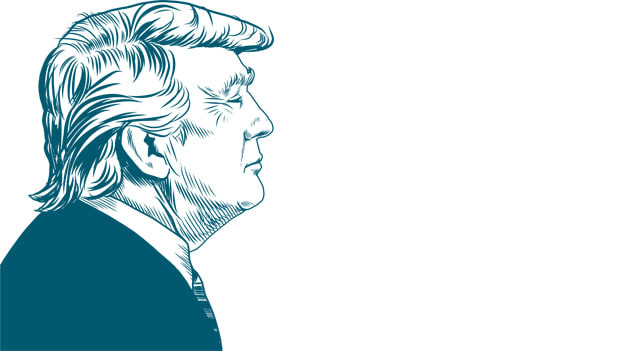 It is not that there has been any dearth of analyzing the rise and victory of Mr. Trump – but almost all focus on the ‘socio-economic-cultural’ context. The usual hypothesis builds arguments around the theme of the perceived white-Anglo-Saxon angst of having been let down by the liberal-inclusive-globalized agenda of the democrats. Hardly anyone speaks of the failure of the Republican organizational ‘talent management’ (to really stretch the argument and bring it closer home for us). The real issue and perhaps more germane one would be to see what in the organization allowed such a phenomenon — Where did all the checks and balance go? How come the institutional culture could not prevent such an eventuality? I can only empathize with the custodians of the leadership pipeline in the Republican Party for they just don’t have any clue what has hit them. They have many answers to give provided anyone is asking them. I also doubt if they have any ideas to get out of this. Organizations must have one ear to the world outside (which they do quite well) and one ear to the world inside (which usually gets ignored). I am sure that the Republican Party, in hindsight (quite predictability) will be able to see all the tell-tale signs of this change over the last many years. If they have the courage to look inwards then they will probably see clear voices before Mr. Trump, which would have made similar noises albeit with greater sophistication. They would be able to see that what has now become Frankensteinian, would have begun in a gentler way — then no one would have taken note of it or would have tolerated it as a stray voice. Soon the stray voice becomes the mobs voice thereby legitimizing the ‘new thinking’. Vox Populi is not necessarily Vox Sanity (pardon the play of words). If only the guardians of the organization then would have seen this coming (they are expected to in any case) – and nipped such voices in the bud or at least countered it with a strong intellectual argument! It’s not only the storm but also a shallow root that brings the tree down. The distinct peril of giving the top job to an outsider, particularly with poor value mismatch. This one is difficult to really sort because the jury is really still out about which one is more effective — the proverbial home grown talent or the outsider. Mr. Trump is not really an old Republican — he literally parachuted himself into the Republican Party only recently. So obviously, he is not encumbered by the burden of protecting its legacy apart from not having the benefits of the education of the Republican values and the Republican way of life, something he would have known had he grown within the ranks. Mr. Trump's job was to win for the Republicans the top-job (read market share), which he has done quite successfully – and now that he has done it, he is clearly seeking his pound of recognition. Actually, he is not seeking any recognition – he is demanding it. He finds it funny that those who could not get the job done before him are questioning the manner in which he has got the job done. Republicans don’t really know what to do with him because he delivered results for them. Damned if they say anything, Damned if they don’t! Sounds familiar? It never ends when it ends. If they believe that this will end with the end of his term, I think they are living in same myopia and blindness that brought things to this stage. A (inferior and damaging) way of thinking never dies – it is only kept in check by another (and hopefully) better way of thinking. Philosophical clarity is difficult to achieve and easy to lose. The rise of a certain kind of leader only emboldens many more like him/her. A leader inadvertently becomes role model to many – and particularly to young and gullible. A leader brings legitimacy to his/her way of thinking and behaving. Many emulate and many more agree to it. Who knows how many young republicans would have been affected and indoctrinated by the Trump of ‘way of working’? How long will that last? What new mutants will be created from that worldview? Who knows? I have a feeling that the worst is not yet over for the Republican organization. It rarely ends when it ends. NEXT STORY: Workplace automation: Are we ready?